First night in the Gypsy Wagon.. It was a miserable and wet day on Friday, but as I had already arranged to have my first night in the Gypsy Caravan I thought I would still go for the experience and hope for the best with the weather. The idea was to get some late evening shots of Ollie and Lady Penelope playing in the paddocks before bed, Mary had told me they always have a mad half an hour before settling for the night. This didn’t go exactly to plan as the rain was so on/off all evening. After having dinner with Mary and David (as it was too wet for any campfire cooking) and watching the llamas continuously out the windows (they are great time wasters!) hoping the weather would change, Marley and I made our way down to our accommodation for the night before it got too dark. 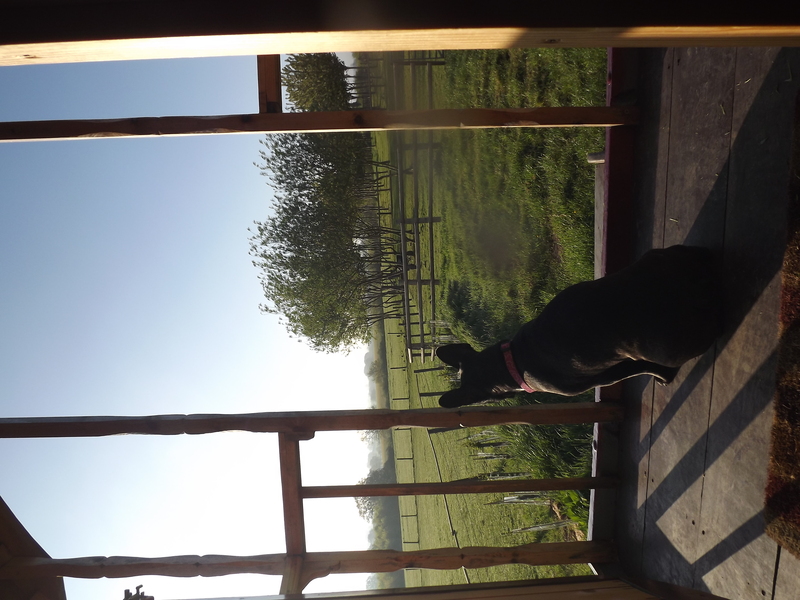 I thought, being on my own with just my dog for company it would be a spooky experience but knowing I was surrounded by my llama companions all evening, who at this time of year sleep outside I knew I was safe and well looked after. I was so surprised to see how spacious it was inside, everything you need and would have in a hotel room but very cleverly designed and compacted into this characterful wagon. 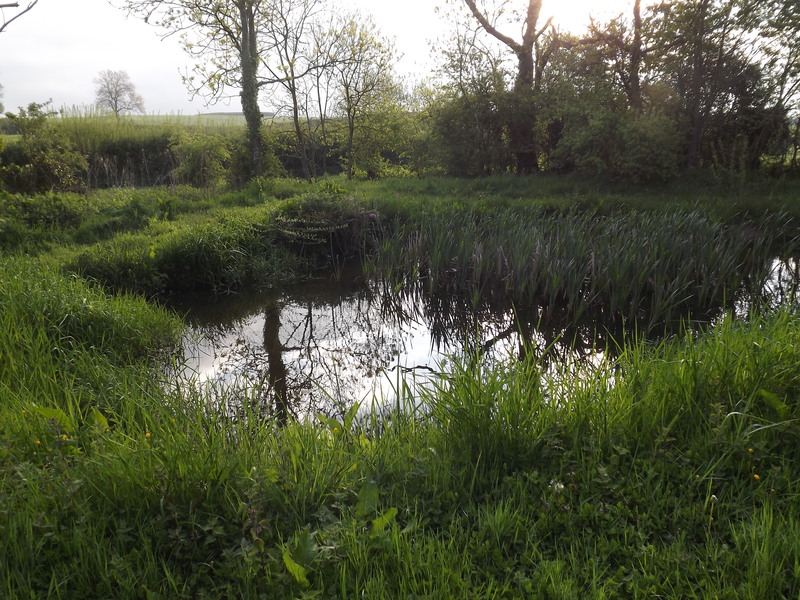 After settling in for the night a head and getting cosy in a very comfortable double bed, we got ready for the main event… wildlife watching! If you are a keen wildlife fanatic (like me) then you will be in heaven. 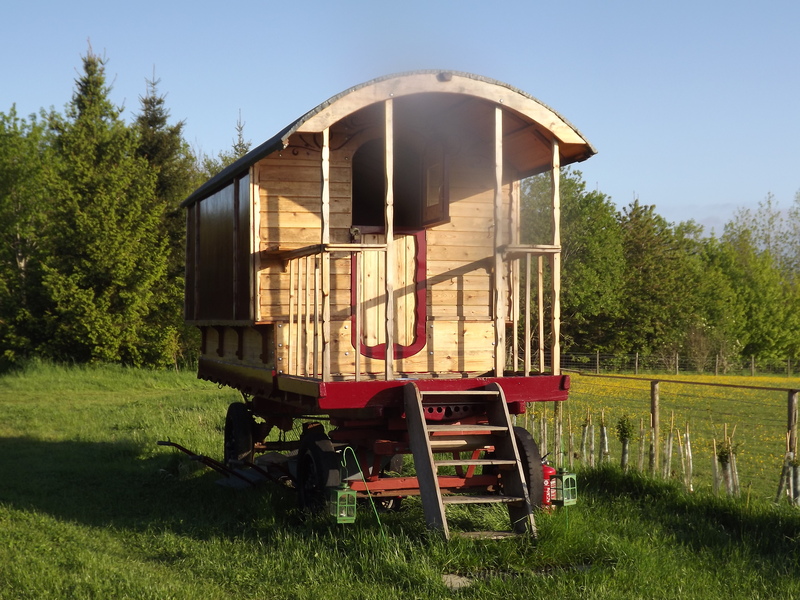 As the double bed is raised off the floor with the children’s beds below, you are at eye level with the back window of the wagon, which is directly opposite a walkway through the Catanger woodland. Just metres from the caravan a family of badgers has made their set at the entrance of this walk way – for an hour and a half me and Marley watched this walk way until we could see no more. 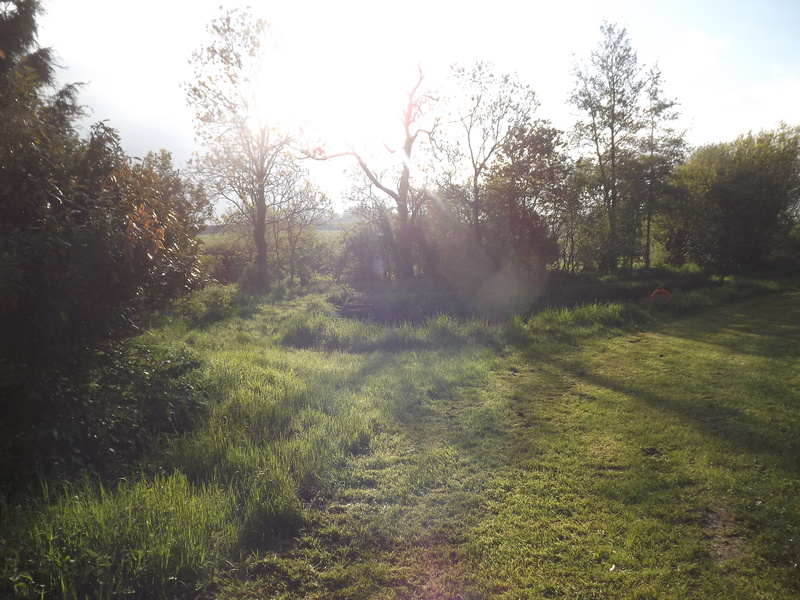 It was lovely to see the woodland coming to life as day light disappeared. For anyone who loves nature this is a must! After a comfortable and undisturbed night I woke to complete bliss. It was such a lovely start to the day, after my morning stroll round the woods I then went to say a good morning to the llamas. 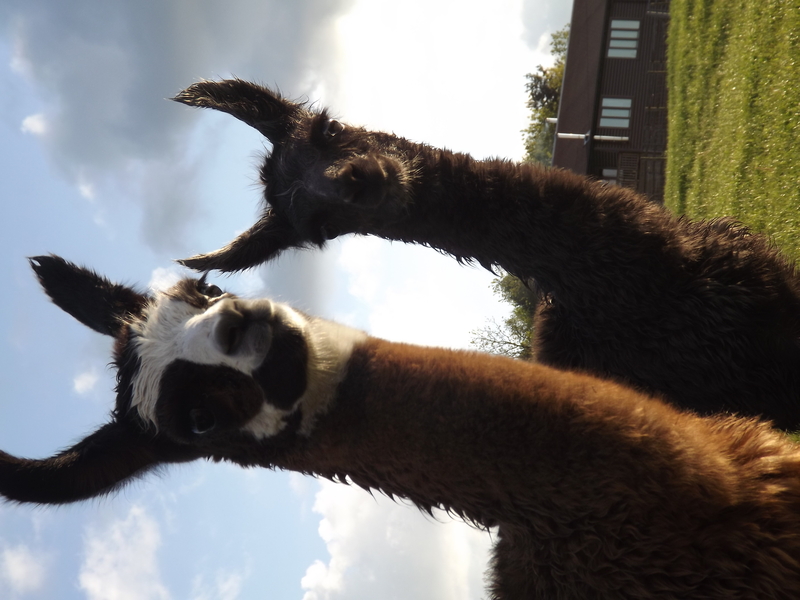 Lady Penelope and Ollie were already up and bounding around and couldn’t resist a cheeky good morning snap shot. How could you not be happy after seeing these cheeky little faces in the morning. This was the start to another amazing day. 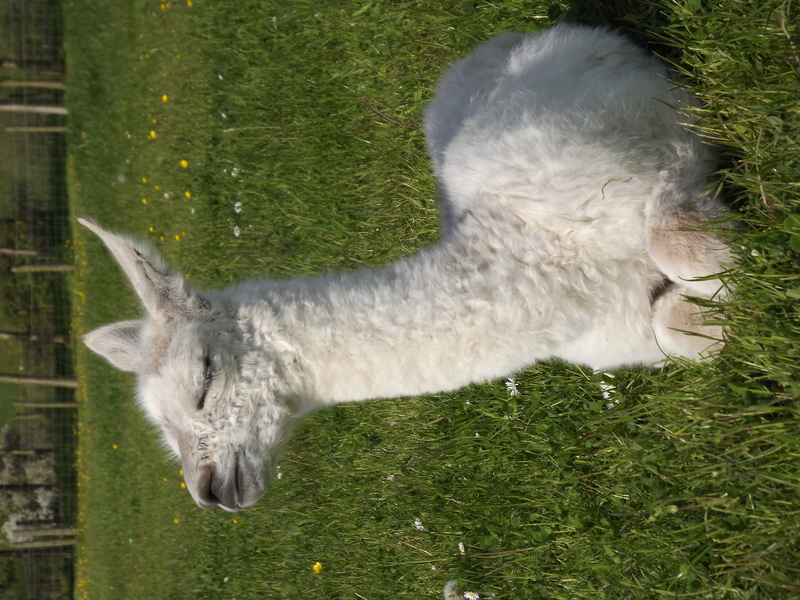 We had a half day experience booked for this morning with 10 lovely people, the weather was beautiful and the llamas were entertaining their fellow trekkers. 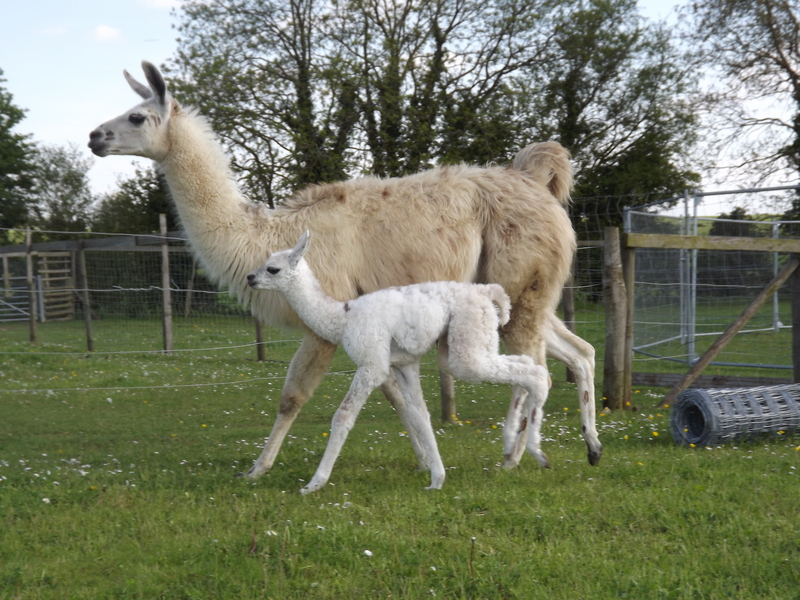 Half an hour from returning back to Catanger Farm, we were advised by David that Willow had just had a beautiful baby boy. 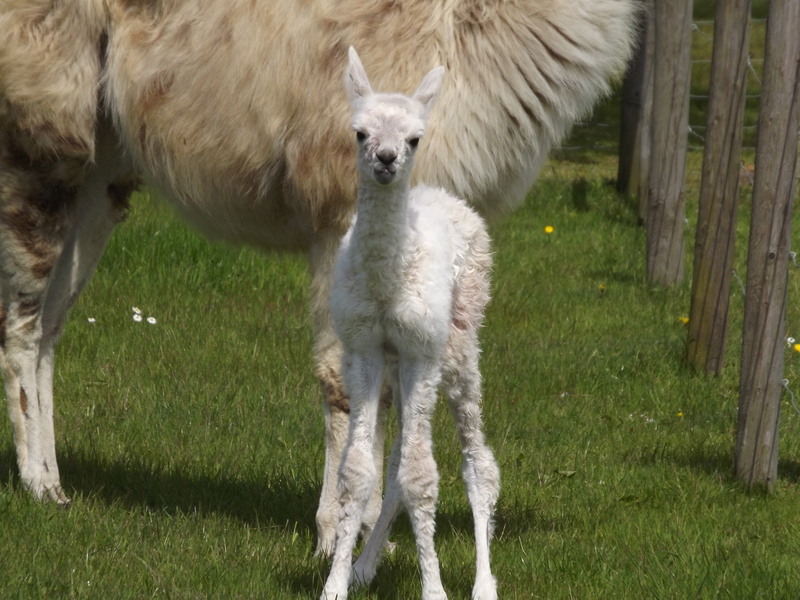 Of course we were all very excited to see the new arrival so on our return to the farm we took everyone to see him. 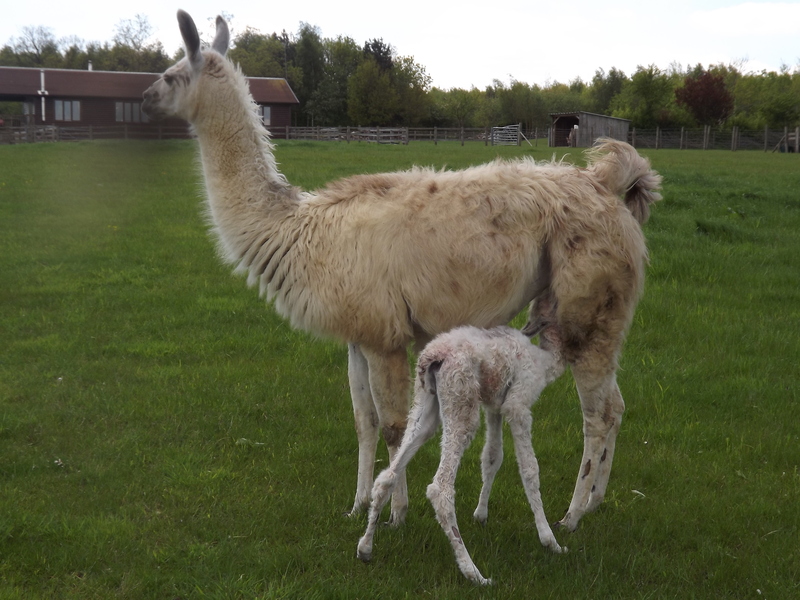 First time mother, Willow and Cria – appropriately named – The Mighty Quinn due to his size are doing great. Fantastic end to a fantastic day!